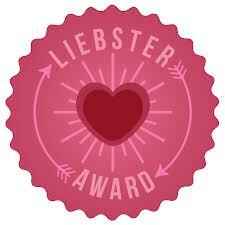 This entry was posted in Writing and tagged Liebster Award by Michigan Left. Bookmark the permalink. You are so welcome. You fall into the “blogger who makes me laugh and/or cry and sometimes both in the same post” department. Really, how do you do that? Kathleen, thank you very much for this award. What thrills me the most is that I’m still on your radar. Since I’ve veered off toward fiction (or both fiction and non-fiction, really) and don’t submit grid posts anymore it’s nice that you include me in your list of bloggers, most of whom I read and have the utmost admiration for. So, thank you again… your blog, by the way, deserves any and all awards bestowed on it and you. Love your random facts. I’m a morning person too, and I have a fear of spiders. Congrats on the running – that’s impressive! You are so very welcome, Stephanie. I miss you on the grid, but I still pop over to your blog. I need to be better about commenting. I loved “It Was too Easy.” That was for a writing challenge, right? Did you win? It was an excellent piece. You are a sweetheart, and you made my day! Thank you! I adore your writing and really appreciate the shout out. Hugs and Happy Valentine’s Day! Thank you and you’re welcome. 🙂 Hope you have a nice Valentine’s Day too, Mary! Congratulations! I love learning these tidbits about people. thanks so much! I FEEL SO LOVED! Yay! That’s the whole idea. Thanks so much! And guess who is going to their first monster truck show tomorrow? This girl right here!! Woo-hoo! I hope you’re going to blog about it. Thank you for the honor awesome lady!! !